The box cover of "Drawing Stencils No. 3 for Use on Slate or Paper" [a children's drawing set produced by Montgomery, Ward & Company of Chicago circa the 1890s] had its title in an elegant spurred Roman type face. Working from the few letters available, a complete character set was created that resulted in Antique Packaging JNL, which is available in both regular and oblique versions. 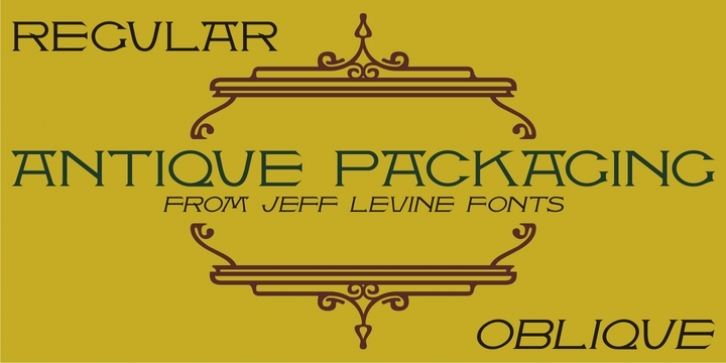 To note, this is the 1500th font release from Jeff Levine Fonts since its inception in January of 2006.